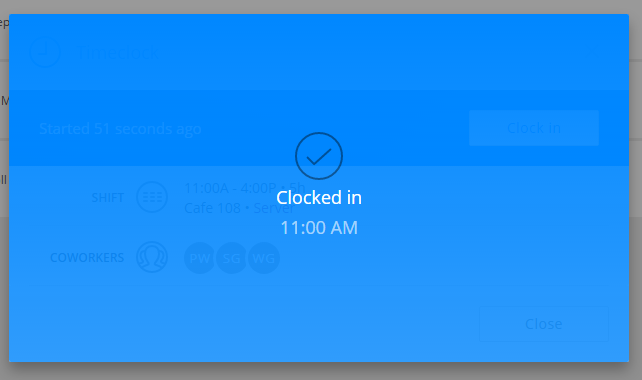 When scheduled for a shift, you will see the clock in option from the Dashboard. Once clocked in, you will also get confirmation. 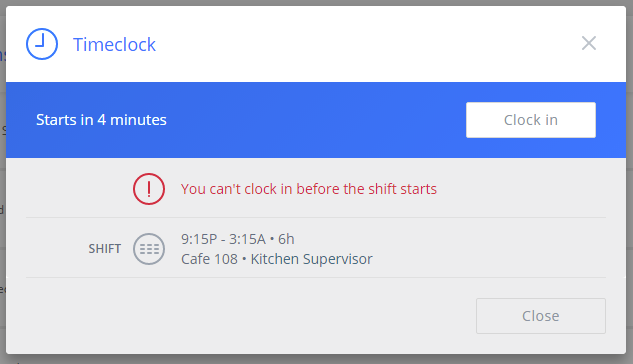 Based on your company's settings, you may not be able to clock in before the start of your shift time, in which case, you will receive an error message.